The blog below is reposted from TheAvalonVillage.org, the online home of the Avalon Village. 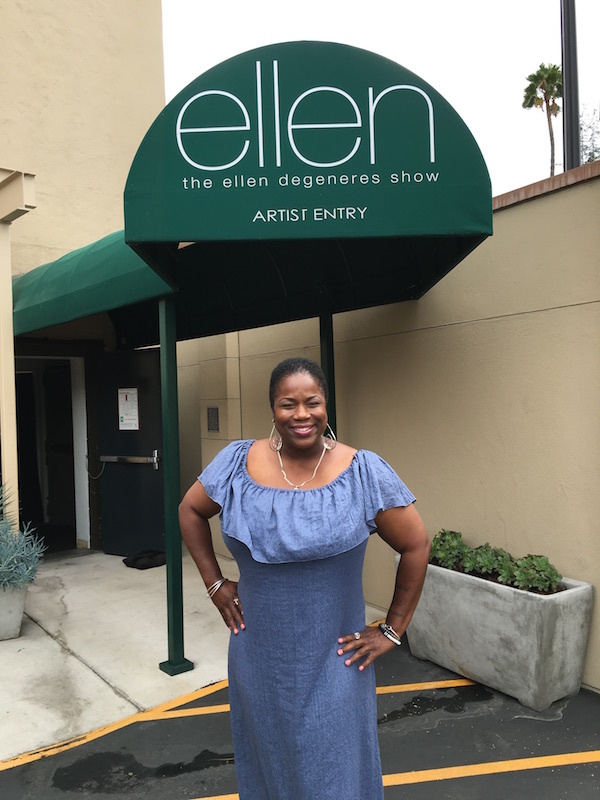 We’re so excited that our client Shamayim ‘Mama Shu’ Harris was featured recently on The Ellen DeGeneres Show, and gifted a new home! 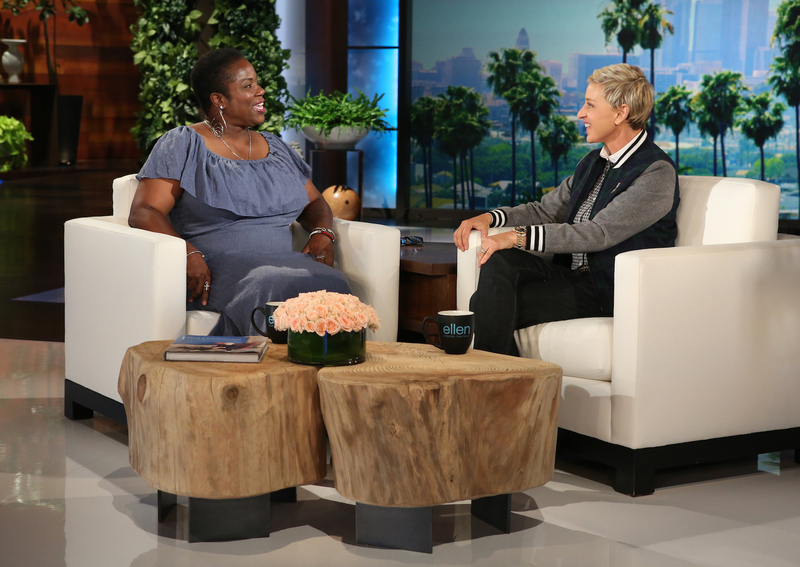 We are a bit overwhelmed after a whirlwind start to the week that included an appearance on The Ellen DeGeneres show! The show, which airs on NBC stations nationwide, is watched by close to 4 million people per episode! 4 million people! What an incredible opportunity! To top it off, Ellen has tens of millions of followers and fans worldwide on social media. And now – they’ve heard our story. We are truly humbled and amazed by the outpouring of love we’ve received. Words can hardly describe it. Here’s how it all went down! On Monday, we boarded a flight from Detroit to Los Angeles. We arrived at LAX and a car took us straight to our hotel as the excitement and anticipation grew. A few weeks earlier, a camera crew and a producer from Ellen visited Avalon Village. They spent two long days with us in the sweltering August heat speaking with Mama Shu and other members of the team, witnessing the construction of The Homework House, meeting some of our students at Hood Camp, and getting a feel for Highland Park and the blighted neighborhood we are transforming. We were so proud to show them all we’ve done and all we plan to do in the future. Back to LA. Tuesday morning, we woke up to the sun peeking out from the hazy horizon (the Hollywood hills visible in the distance). The big day was finally here! A few segments in, it was OUR TURN to walk toward towards the stage. Wow. Following that awesome day and experience we caught a red eye back to Detroit, arriving just in time to make a quick stop home. Then, we rushed to the Local 4 WDIV studio to watch the segment with anchor/reporter Karen Drew. Mama Shu could not believe her eyes, seeing the whole experience unfold in front of her on TV. Wednesday night, our friends and supporters gathered at WHPR TV33 for a watch party. We got to see the segment again in a room filled with people we love. That was a moving experience all over again. Then – as if the day wasn’t overwhelming enough, we began to read some of the heartfelt messages thousands of people have been leaving for us on social media. We are soaking in the love from each and every one of you. Here are a few comments that stood out. Mama Shu might not be an urban planner as she said, but she sure has her own great plans for making this world a better place for so many people because of her big, open heart and soul! What an Amazing woman who turned her own grief and loss into so much positive to give, inspire and share with so many others! Love this! What an amazing woman. I bet she didn’t tell us half of the struggles she has gone through to get HP up and running. Hopefully now with Ellen shining her light on this, others will come forward too. Well done Mama Shu and Ellen, too. This really touched my heart. So many times people talk about the world needing change and wait for someone else to take action. She knew what she had to do and did it. The children she is helping and encouraging are going to be amazing leaders and vital members of the community. She has taught them no task is too big, as long as you have passion and drive anything can be done. We are overwhelmed, blessed, grateful, and more determined than ever to see our project though! You can help us by stepping up to volunteer or donate. Thank you! We appreciate you! There is much more work to be done! We look forward to working with the Ellen crew on the next steps to install the Cocoon 9 house! We’ll keep you posted! From all of us at Avalon Village and in Highland Park/Detroit – THANK YOU to Ellen and her team for taking the time to learn more about our story and our passionate, ongoing effort to transform blight to beauty. We are family – and we’re just getting started! This entry was posted in Blog Post and tagged Avalon Village, Liberati Group, Mama Shu. Bookmark the permalink.